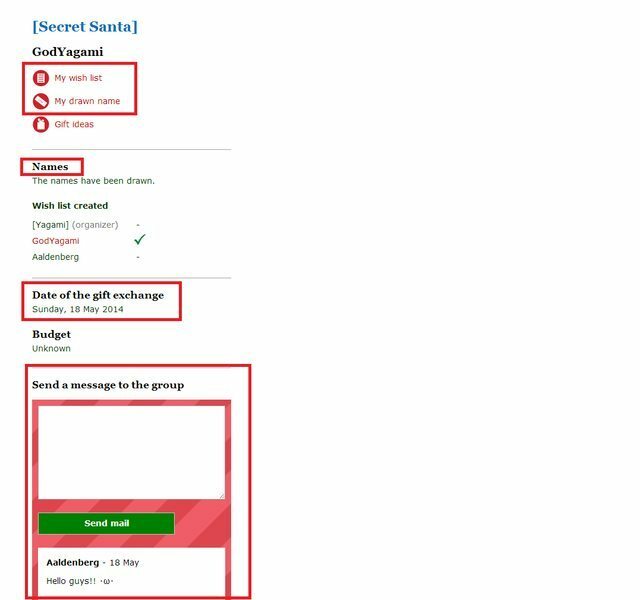 GodYagamiIl y a 4 ansMFC Secret Santa Group! First you gonna receive an invite in your email. Don't forget to check your spam folder. As you can see, you also gonna receive updates from the group, so I recommend you to check it often. Update: The layout has slightly changed, but it's nothing you can't manage, I believe. Just ask if you have any questions. 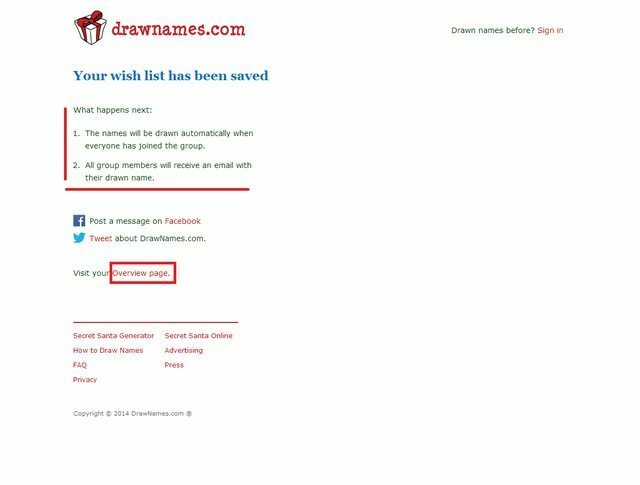 Go ahead and click in "your wish list" option. You can type anything! Use this space to write down your interest** list. I highly recommend you to type things you enjoy. 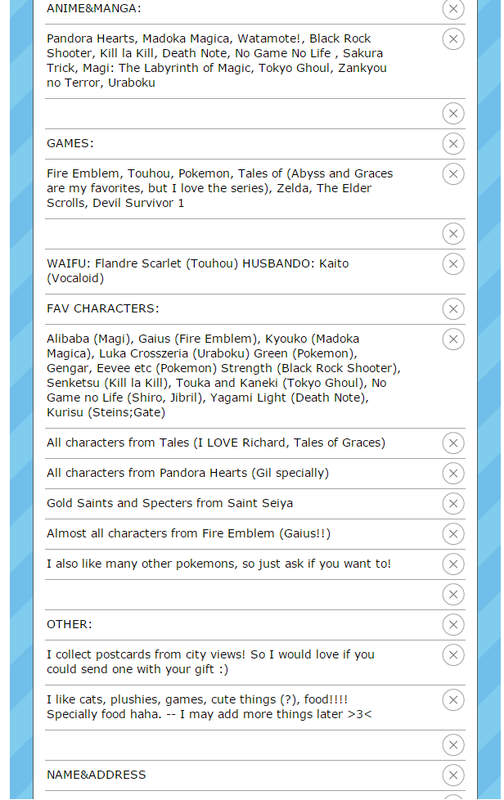 Typing "anime" is not good enough, you should try to list your favorite ones. We are not limited to give only anime/manga stuff, so feel free to include anything else you like. Postcards, food, anything! Don't add just a few lines, it may be hard to your giftee to find something cool enough! Try to fill it as much as you can. I will ask you to list at least two things not related to anime and games because some of us live in cities that are really hard to find anime merchandise. Below this post you will see a full wishlist model, so you can have more ideas. Once you are ready don't forget to click in "save your wishlist" button. There's also the "overview page" option, but you can access it before and after you finish your list so don't worry about it right now. It's possible to add or remove whatever you want. DON'T FORGET TO INCLUDE YOUR NAME AND ADDRESS!!. There's some info about the group here. Names are, of course, a list of everyone who's participating. There's also the date of exchange in this page. Please, keep in mind this date will be the deadline to send your package. 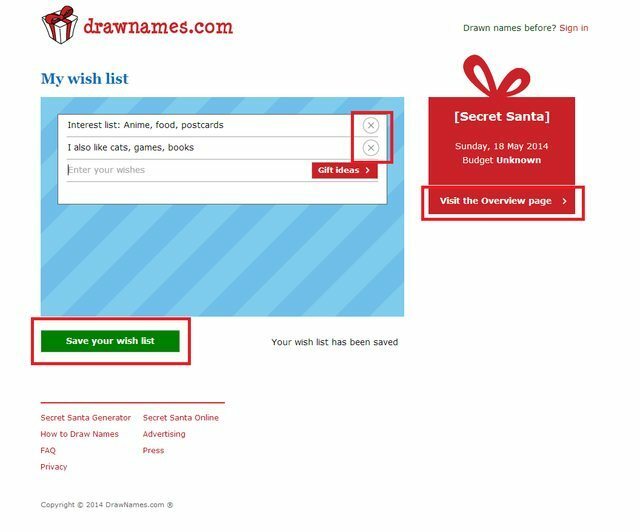 The overview page also have an option to check your wishlist and drawn name. Let's proceed. 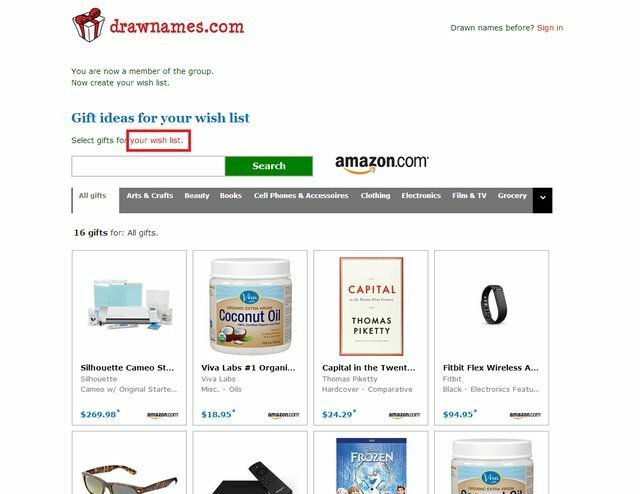 I just got my drawn name and I can look at her wishlist. Yes, that's right. 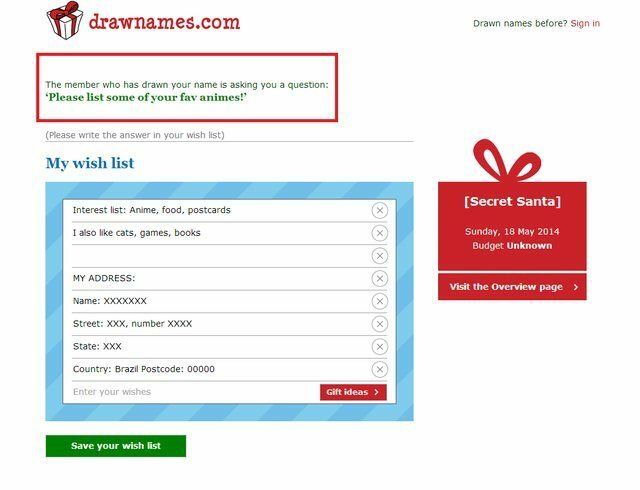 You gonna answer any question just typing in your wishlist - your giftee will receive an e-mail about your update. If you not reply at the question your giftee will be unable to ask anything else until you update your wishlist. It's simple! I will just add more info in my wishlist and click in the "save wishlist" button again. 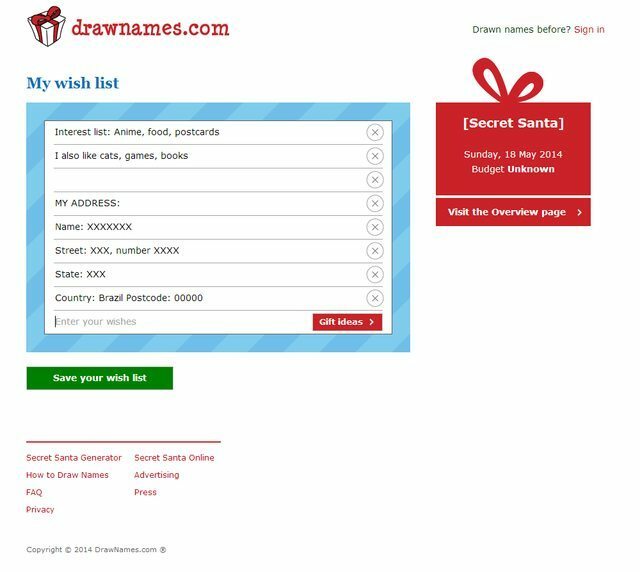 In our Secret Santa the wishlist will work as an interest list. 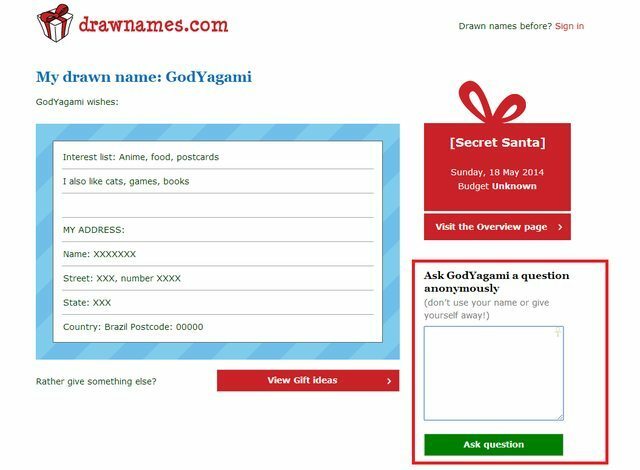 Don't ask for a gift like "I want X figure", your giftee will try to find something based in this list. There's also no budget because shipping to overseas is expensive and not everyone is able to pay that much. The point here is not expect for an expensive gift, if you are planning to wait for something like this I beg you to not join. 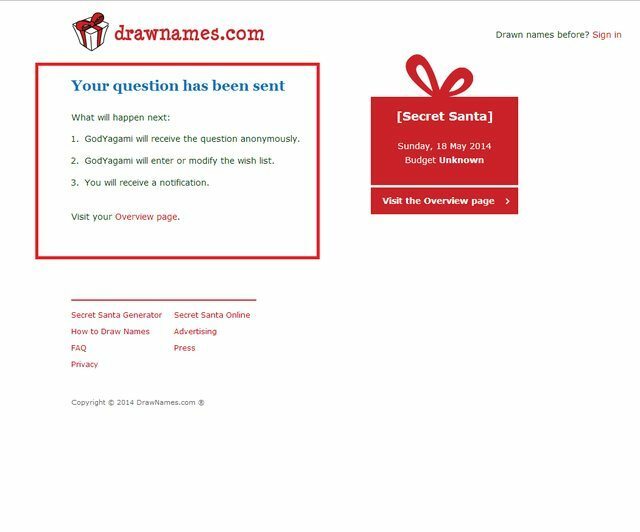 We are planning this Secret Santa to have some fun. If you are able to afford a figure, wow that's an amazing, really!! But it's not fair to think everyone else can pay the same amount, specially because shipping rates from some countries are a killer! I'm sorry if I sound rude, but what matters here is your effort to make/buy a nice gift and send with your best wishes despite how much you can spend on it.